Our furry friends are more to us than just pets, and for many of you, they are a precious family member. Caring for them during a disaster is extremely important. You need to know that when an unexpected storm occurs, many of our animals face anxiety just as we do. Knowing how your pet will react before, during and after  a storm is the first step in ensuring their safety. 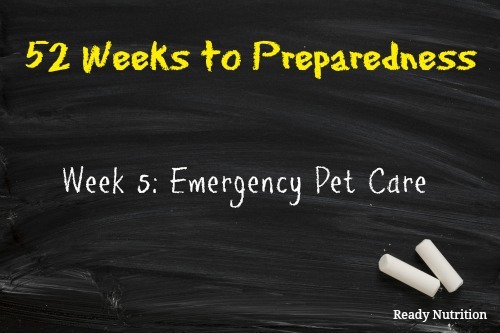 Making sure that you anticipate your pet’s needs during an emergency because it will help them cope with this disruption into their daily routines. Also, have a pet survival kit and a pet first aid kit set aside for your pet, as this too ensures their safety. 4. Get a rescue alert sticker . It will alert rescue workers that a pet is inside the home. When displaying this sticker, ensure that it is placed in an area that is visible to rescue workers. 6. Have a current photo of your pet  to include with your family emergency photos .